Linux Firm provides support to meet your needs for designing, implementing and maintaining Linux systems, and with strong ties to the Linux Open Source development community, Linux Firm has clearly recognized as the Linux server maintenance leader. We are a One Stop Source for all Open Source Needs for any Organization. We provide cost-effective business ready solutions on services and subscription model using Linux and Open Source. Whether your servers are hosted by third parties or are located in your office, whether you require contracted unlimited support services or hourly support services, you’ll receive exceptional server support at all times. Linux is the powerful operating system that has been taking the world by storm over the last few years. 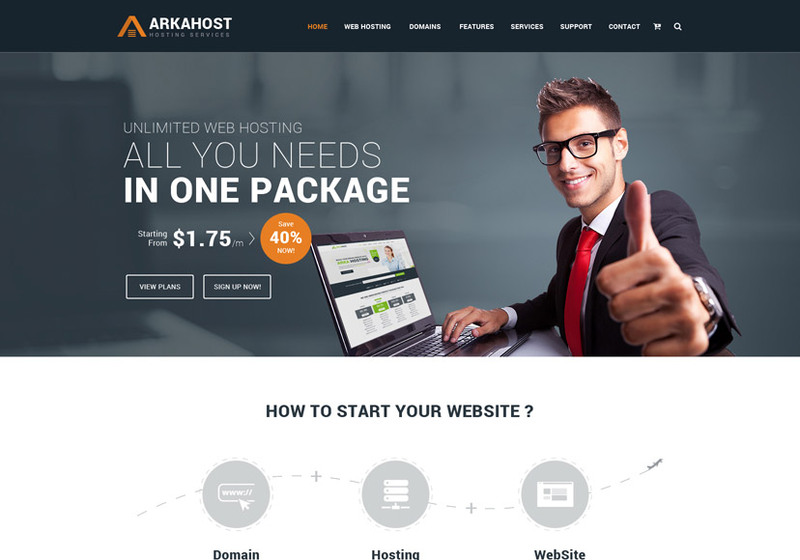 It has enabled the internet to flourish and provided a cost effective platform for the servers. 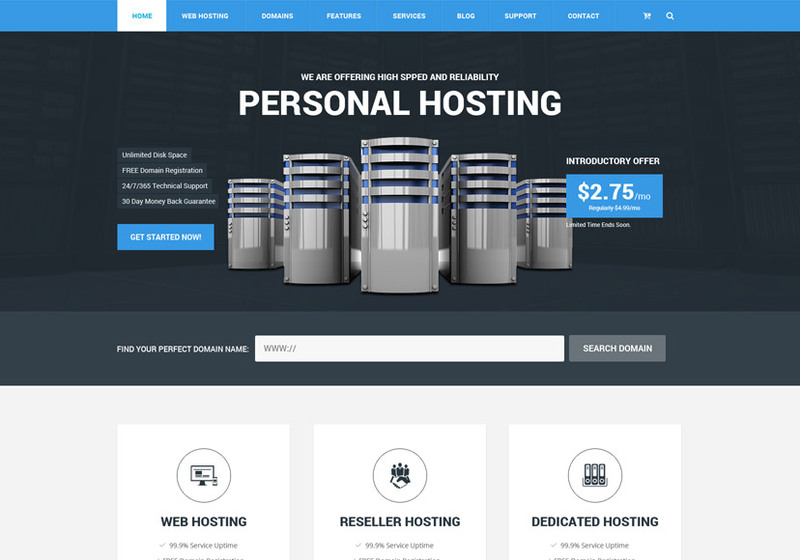 It is used to run mail servers, web servers, and databases. Today it is becoming the desktop operating system of choice. We are proud to have been involved in the Linux movement since it’s early days, and have developed a reputation as experts in all phases of network and server technologies that have Linux at their heart. If you or your company is interested in having our team set up your Linux system(s), maintain existing installations, or if you need us to provide support for all versions of Linux, please feel free to contact our sales department at sales@itmonteur.net or via our contact page. 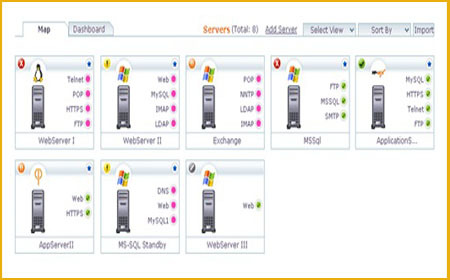 With today’s multi-vendor IT environments, administrators need a server monitoring services that works out–of–the–box over multiple technologies and platforms, be it Windows or Linux, Solaris, Unix, VMware, AIX, HP–UX etc.. Our Monitoring Service provides a single, comprehensive console for your server monitoring needs by using SNMP, WMI, CLI, and Telnet⁄SSH to monitor your server infrastructure regardless of device type or make. 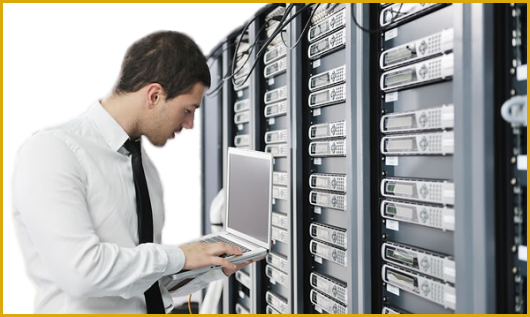 We have extensive expertise in Managing all type of Web Hosting Control panel which supports both Windows & Linux server. Please keep in mind Server Management, monitoring and its security is a way of life and a lifestyle. It is a set of procedures and policies that must be malleable, and yet followed consistently. There is no such thing as a one-time hardening just like there is no such thing as a one-time anti-virus install. As new threats or attacks arise, it’s important that you never allow yourself to feel too safe or too secure, always check things out, always be open to learning new security philosophies, and always be on the lookout for suspicious activity on your machines. 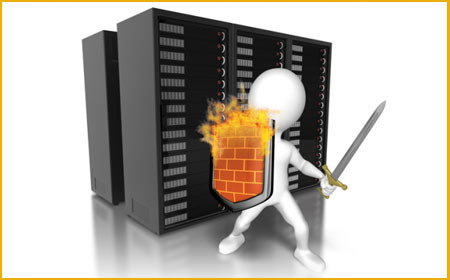 for more details check out our server security management services. Say Goodbye to Linux Problems! 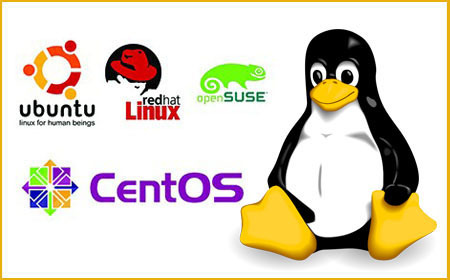 Linux Firm is a Linux support company with decades of experience in all environments. We manage and provide support to clients of all sizes, from a single server deployment to a high-availability server cluster. We support a wide range of opensource software. 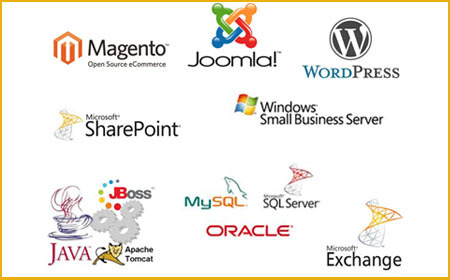 Here are a few that we support: Apache, OpenLDAP, PHP, MySQL, NgniX, WordPress along with many others. Call us at +91 120 2631048 to learn more about how we can help you. It doesn’t matter if you’re looking for one-off or on-going support, we’re here to solve your Linux problems! 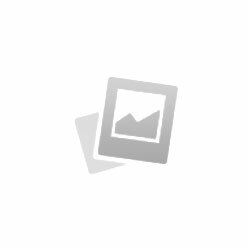 It is a open source relational database management System. 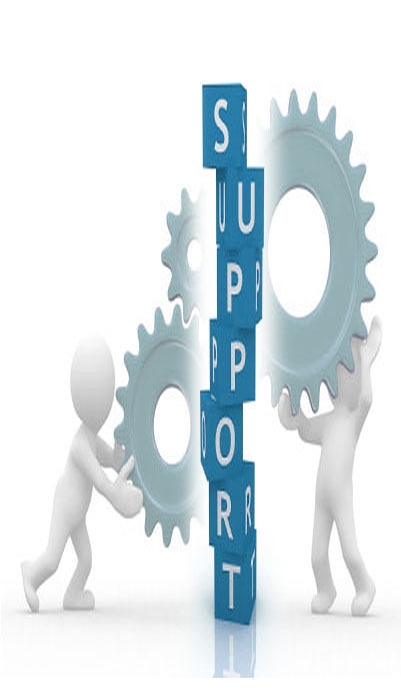 Our user friendly support professionals are available 24*7 online to ensure that your MySQL installation is running optimally. MySQL high availability (HA) ensures that your MySQL database can survive a disaster and recover quickly without losing data. It also means that your MySQL-based application will meet your minimum performance requirements in normal operation. Our expert team can help you analyze your business and application requirements and deploy a highly available MySQL solution for you in less than three days, be it onsite or remote. Our consultants also work with MariaDB Server. Our MySQL Cluster experts will enable you to get the highest levels of scalability, availability, and performance from your MySQL Cluster installations. Linux Firm strongly believes in the benefits of the open source community. Having worked with open source technologies since we were founded, Linux Firm understands the great benefits to clients who implement such technologies: saving money on licensing, working with established standards, and gaining advantage from the vast community knowledge-base of open-source development experts. By working with our highly skilled Linux Consultants, we can provide consultancy in choosing the right applications for your business. Linux Firm Linux provides support to meet your needs for designing, implementing and maintaining Linux systems, and with strong ties to the Linux Open Source development community, Linux Firm has clearly recognized as the Linux server maintenance leader. Linux is, in simplest terms, an operating system. It is the software on a computer that enables applications and the computer operator to access the devices on the computer to perform desired functions. The operating system (OS) relays instructions from an application to, for instance, the computer’s processor. The processor performs the instructed task, then sends the results back to the application via the operating system. Explained in these terms, Linux is very similar to other operating systems, such as Windows and OS X. But something sets Linux apart from these operating systems. The Linux operating system represented a $25 billion ecosystem in 2008. 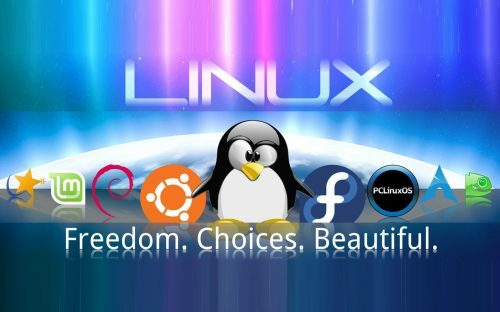 Since its inception in 1991, Linux has grown to become a force in computing, powering everything from the New York Stock Exchange to mobile phones to supercomputers to consumer devices. Over 1,000 developers, from at least 100 different companies, contribute to every kernel release. In the past two years alone, over 3,200 developers from 200 companies have contributed to the kernel–which is just one small piece of a Linux distribution. This article will explore the various components of the Linux operating system, how they are created and work together, the communities of Linux, and Linux’s incredible impact on the IT ecosystem. One of the most noted properties of Linux is where it can be used. Windows and OS X are predominantly found on personal computing devices such as desktop and laptop computers. Other operating systems, such as Symbian, are found on small devices such as phones and PDAs, while mainframes and supercomputers found in major academic and corporate labs use specialized operating systems such as AS/400 and the Cray OS. Linux, which began its existence as a server OS and Has become useful as a desktop OS, can also be used on all of these devices. “From wristwatches to supercomputers,” is the popular description of Linux’ capabilities. Linux is already successful on many different kinds of devices, but there are also many technological areas where Linux is moving towards, even as desktop and server development continues to grow faster than any other operating system today. Linux is being installed on the system BIOS of laptop and notebook computers, which will enable users to turn their devices on in a matter of seconds, bringing up a streamlined Linux environment. This environment will have Internet connectivity tools such as a web browser and an e-mail client, allowing users to work on the Internet without having to boot all the way into their device’s primary operating system–even if that operating system is Windows. At the same time, Linux is showing up on mobile Internet devices (MIDs). This includes embedded devices such as smartphones and PDAs, as well as netbook devices–small laptop-type machines that feature the core functionality of their larger counterparts in a smaller, more energy-efficient package. 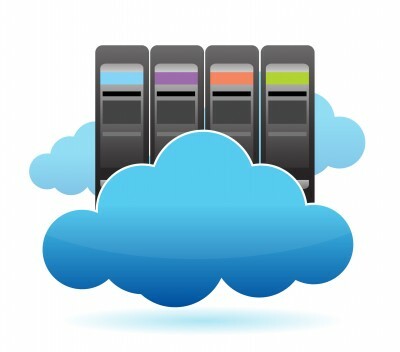 The growth of cloud computing is a natural fit for Linux, which already runs many of the Internet’s web servers. Linux enables cloud services such as Amazon’s A3 to work with superior capability to deliver online applications and information to users. Related to Linux’ growth in cloud computing is the well-known success of Linux on supercomputers, both in the high-performance computing (HPC) and high-availability (HA) areas, where academic research in physics and bioengineering, and firms in the financial and energy industries need reliable and scalable computing power to accomplish their goals. Many of the popular Web 2.0 services on the Internet, such as Twitter, Linked In, YouTube, and Google all rely on Linux as their operating system. As new web services arrive in the future, Linux will increasingly be the platform that drives these new technologies. Developers need special tools (like the compilers and command lines found in GNU) to write applications that can talk to the kernel. They also need tools and applications to make it easy for outside applications to access the kernel after the application is written and installed. This collective set of tools, combined with a kernel, is known as the operating system. It is generally the lowest layer of the computer’s software that is accessible by the average user. 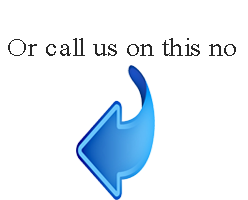 General users get to the operating system when they access the command line. Linux provides powerful tools with which to write their applications: developer environments, editors, and compilers are designed to take a developer’s code and convert it to something that can access the kernel and get tasks done. Like the kernel, the Linux operating system is also modular. Developers can pick and choose the operating tools to provide users and developers with a new flavor of Linux designed to meet specific tasks. The windows, menus, and dialog boxes most people think of as part of the operating system are actually separate layers, known as the windowing system and the desktop environment. These layers provide the human-oriented graphical user interface (GUI) that enables users to easily work with applications in the operating system and third-party applications to be installed on the operating system. In Linux, there a lot of choices for which windowing system and desktop environment can be used, something that Linux allows users to decide. This cannot be done in Windows and it’s difficult to do in OS X. Like the operating system and kernel, there are tools and code libraries available that let application developers to more readily work with these environments (e.g., gtk+ for GNOME, Qt for KDE). Operating systems have two kinds of applications: those that are essential components of the operating system itself, and those that users will install later. Closed operating systems, like Windows and OS X, will not let users (or developers) pick and choose the essential component applications they can use. Windows developers must use Microsoft’s compiler, windowing system, and so on. Linux application developers have a larger set of choices to develop their application. This allows more flexibility to build an application, but it does mean a developer will need to decide which Linux components to use. This is the highest layer of the Linux operating system: the container for all of the aforementioned layers. A distribution’s makers have decided which kernel, operating system tools, environments, and applications to include and ship to users. Distributions are maintained by private individuals and commercial entities. A distribution can be installed using a CD that contains distribution-specific software for initial system installation and configuration. For the users, most popular distributions offer mature application management systems that allow users to search, find, and install new applications with just a few clicks of the mouse. There are, at last count, over 350 distinct distributions of Linux. Code is contributed to the Linux kernel under a number of licenses, but all code must be compatible with version 2 of the GNU General Public License (GPLv2), which is the license covering the kernel distribution as a whole. In practice, that means that all code contributions are covered either by GPLv2 (with, optionally, language allowing distribution under later versions of the GPL) or the three-clause BSD license. Any contributions which are not covered by a compatible license will not be accepted into the kernel. Copyright assignments are not required (or requested) for code contributed to the kernel. All code merged into the mainline kernel retains its original ownership; as a result, the kernel now has thousands of owners. One implication of this ownership structure is that any attempt to change the licensing of the kernel is doomed to almost certain failure. There are few practical scenarios where the agreement of all copyright holders could be obtained (or their code removed from the kernel). So, in particular, there is no prospect of a migration to version 3 of the GPL in the foreseeable future. It is imperative that all code contributed to the kernel be legitimately free software. For that reason, code from anonymous (or pseudonymous) contributors will not be accepted. All contributors are required to “sign off” on their code, stating that the code can be distributed with the kernel under the GPL. Code which has not been licensed as free software by its owner, or which risks creating copyright-related problems for the kernel (such as code which derives from reverse-engineering efforts lacking proper safeguards) cannot be contributed. Questions about copyright-related issues are common on Linux development mailing lists. Such questions will normally receive no shortage of answers, but one should bear in mind that the people answering those questions are not lawyers and cannot provide legal advice. If you have legal questions relating to Linux source code, there is no substitute for talking with a lawyer who understands this field. Relying on answers obtained on technical mailing lists is a risky affair. Linux communities come in two basic forms: developer and user communities. One of the most compelling features of Linux is that it is accessible to developers; anybody with the requisite skills can improve Linux and influence the direction of its development. Proprietary products cannot offer this kind of openness, which is a characteristic of the free software process. Developer communities can volunteer to maintain and support whole distributions, such as the Debian or Gentoo Projects. Novell and Red hat also support community-driven versions of their products, openSUSE and Fedora, respectively. 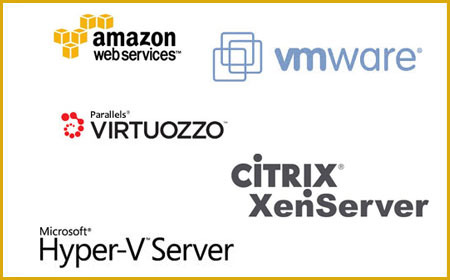 The improvements to these community distros are then incorporated into the commercial server and desktop products from these companies. The Linux kernel itself is primarily supported by its developer community as well and is one of the largest and most active free software projects in existence. A typical three-month kernel development cycle can involve over 1000 developers working for more than 100 different companies (or for no company at all). With the growth of Linux has come an increase in the number of developers (and companies) wishing to participate in its development. Hardware vendors want to ensure that Linux supports their products well, making those products attractive to Linux users. Embedded systems vendors, who use Linux as a component in an integrated product, want Linux to be as capable and well-suited to the task at hand as possible. Distributors and other software vendors who base their products on Linux have a clear interest in the capabilities, performance, and reliability of the Linux kernel. Other developer communities focus on different applications and environments that run on Linux, such as Firefox, OpenOffice.org, GNOME, and KDE. End users, too, can make valuable contributions to the development of Linux. With online communities such as Linux.com, LinuxQuestions, and the many and varied communities hosted by distributions and applications, the Linux user base is an often vocal, usually positive advocate and guide for the Linux operating system. The Linux community is not just a presence online. Local groups known as Linux Users Groups (LUGs) often meet to discuss issues regarding the Linux operating system, and provide other local users with free demonstrations, training, technical support, and installfests. Linux is an operating system that is comprised of many different development languages. A very large percentage of the distributions’ code is written in either the C (52.86%) or C++ (25.56%) languages. All of the rest of the code falls into single-digit percentages, with Java, Perl, and Lisp rounding out the rest of the top 5 languages. The Linux kernel itself has an even more dominant C presence, with over 95 percent of the kernel’s code written in that language. But other languages make up the kernel as well, making it more heterogenous than other operating systems. The kernel community has evolved its own distinct ways of operating which allow it to function smoothly (and produce a high-quality product) in an environment where thousands of lines of code are being changed every day. This means the Linux kernel development process differs greatly from proprietary development methods. While many Linux developers still use text-based tools such as Emacs or Vim to develop their code, Eclipse, Anjuta, and Netbeans all provide more robust integrated development environments for Linux. In 2008, IDC analyst Al Gillen cited a nearly 24 percent annual growth rate for the Linux industry, which puts a $21 billion 2007 technology at $49 billion in 2011. The companies involved in Linux include industry leaders such as IBM, Fujitsu, Hewlett-Packard, Oracle, Intel, Hitachi, NEC, and Novell. All have all invested time, talent, and resources to bettering Linux on their own and through the Linux Foundation. If Linux is free of cost, how does a Linux company generate revenue? One example of how a Linux business works: while nearly all of a Linux distribution’s code is available for free download, the time and cost involved in actually downloading all of that code and putting it together in a cohesive and functional manner is significantly high. To avoid the time sink and the learning curve required to accomplish such a task, users can simply pay a distribution maker for the convenience of not having to build a free Linux from scratch. Businesses and individual users benefit from the distributors’ expertise in putting all of the free Linux code into an easy-to-use set of packages. Another source of revenue for companies is ongoing commercial support for Linux. In fact, some distributions will allow users to download their software free of charge and build their entire revenue model on a services and support business plan. Linux is a platform that can generate revenue, all while still being free. Customers gain the knowledge that they are paying directly for support and convenience, and will always have a choice of which Linux systems will work for them best. Linux Firm provides support to meet your needs for designing, implementing and maintaining Linux systems, and with strong ties to the Linux open Source development community, linux Firm has clearly recognised as the Linux server maintenance leader. We are a One Stop Source for all Open Source Needs for any Organisation. We provide cost-effective business ready solutions on services and subscription model using Linux and Open Source. Whether your servers are hosted with third parties or are located in your office, whether you require contracted unlimited support services or hourly support services, you’ll receive exceptional server support at all times. When it comes to Linux servers, the situation is no different: simply put, the only certain way of maintaining up-time, preserving system security and ensuring service availability is to utilise a server management solution. Our technical services are provided over a range of nix-based platforms, including most common variants of Linux (such as Redhat, CentOS, Fedora, Ubuntu and others), as well as FreeBSD. We invite you to explore the specifics on the services we offer; for your convenience, they are summarised below. Nonetheless, should you have any question about any aspect of our products, support, services or maintenance, please feel free to contact us, and we will be more than happy to promptly answer your inquiry.